Have you recently woken up, realized you are no longer in your 20′s or 30′s, and decided it’s time to get serious about your retirement planning? If so, here are a few suggestions for how to get yourself on the right track. The first thing you need to know is where you stand. 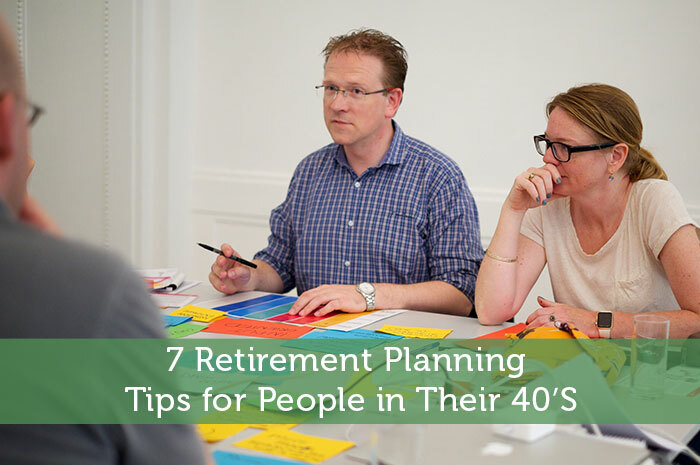 There are a number ofretirement planners on the web to help you figure this out. 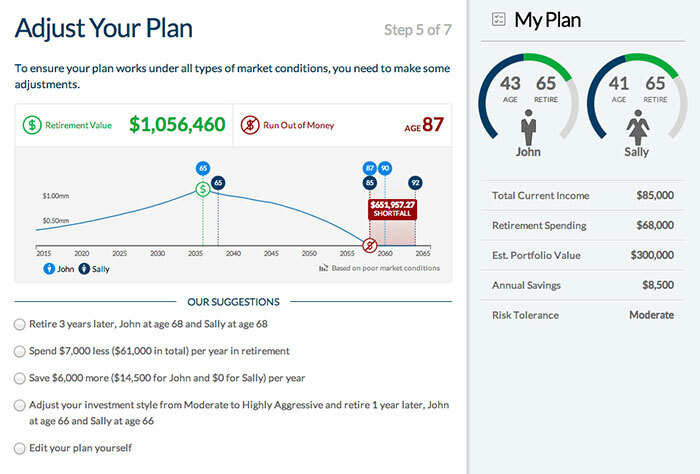 You input some simple information about your age, income, saving and when you want to retire, and the software will let you know if you are on track or not. If not, it will give you suggestions for what to do. If you’re like most people, over time you’ve started to accumulate a fair amount of discretionary spending. Whether it’s eating out 5 times a week, outsourcing every project around the house, subscriptions to services you rarely use or even just Starbucks 3 times a week, there are probably plenty of places where you could find some extra savings. Try tracking where every dollar goes for a couple of months. You’ll be surprised just how many opportunities you have to cut costs. One easy way to enforce the discipline of savings is to max out your 401k. By taking the money out of your paycheck, you eliminate the temptation to spend it. If you don’t have access to a 401k, have your bank do automatic monthly withdrawals to an IRA to accomplish the same thing. If you live until 90, you still have over half your life to take advantage of the power of tax deferred compounding. Don’t stop with simply contributing to tax advantaged accounts. Open a taxable brokerage account and fund it regularly. Because there are limits on both the amount you can contribute and potentially the investment options available to you, you will likely need a taxable account to meet your goals. A big mistake many investors make is becoming too conservative in their 40′s. You still have a couple of decades until you retire and likely a couple more decades in retirement. Your portfolio should have a decided tilt towards equities and be well diversified across a range of domestic and international stocks and bonds . There are lots of sites on the web that will give you a recommendation for your asset allocation. You can get a personalized asset allocation here. One retirement planning challenge people often face in their 40′s is called the “sandwich problem”. With aging parents on one end and college/young adult children on the other, people are often caught in the middle with the need / desire to help both from a financial perspective. It is very common for people to put their dependents first and ignore their retirement. You need to resist that urge. No one is suggesting you abandon your family, but you need to look for realistic ways to manage the costs. For parents, that might mean downsizing their housing to a more senior-friendly environment or having them move in with you to reduce overhead costs. For kids, it might mean a less expensive college, 2 years at a community college before transferring or student work / loan programs. The bottom line, especially with college, is there are plenty of options to reduce costs or place more of the burden on your child (in a manageable way). On the other hand, no one is going to loan you money for your retirement. One of the biggest expenses in retirement, healthcare is a retirement planning wildcard. While there isn’t a whole lot you can do about genetic issues, there are plenty of preventable health problems that are completely in your control. Keeping your weight in check, exercising regularly and not smoking are just a few of the things you can do to put the odds more squarely in your favor. While not exactly rocket science, perhaps money will serve as a better motivation to take preventative action than traditional means. As our 22 year old marketing intern likes to say, 40 year olds used to be “near dead”. With a longer (and more active) life expectancy, that is no longer the case. Even if you’ve been asleep at the wheel until now, you still have time to recover and get on track for a happy and prosperous retirement. But you need to get started. And even if you have done a good job so far, there’s still a long way to go to the finish line. The good news is you have the ability to influence the outcome, and we hope our retirement planning tips help.